Love The Lord of the Rings! 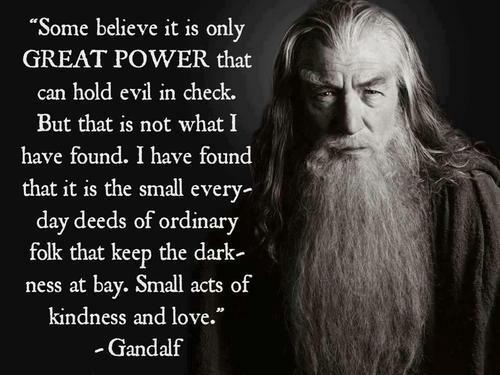 This entry was posted in Miscellaneous and tagged Gandalf Quote, J.R.R. Tolkien, Lord of the Rings, pause. Bookmark the permalink. And everyone can do some ‘small acts’. That’s how difference is made.